​Great Scot! Irish holiday destination advertised with… a Scottish castle? A competition advertising a luxury break in Ireland attracted the mirth of online viewers, who realized the holiday was being publicized with a picture of one of Scotland’s most famous castles. Eilean Donan Castle is in the Scottish Highlands, over 400 kilometers from the Emerald Isle. Bizarrely, promoters used the iconic attraction to advertise the £2,000 getaway. The image was posted on the Facebook page of WomenFreebies.co.uk, captioned “like if you’d love to visit Ireland.” Eagle-eyed customers were quick to point out the error. Nikki Thompson, 63, of Ardrishaig in Argyll, said: “I laughed to myself. 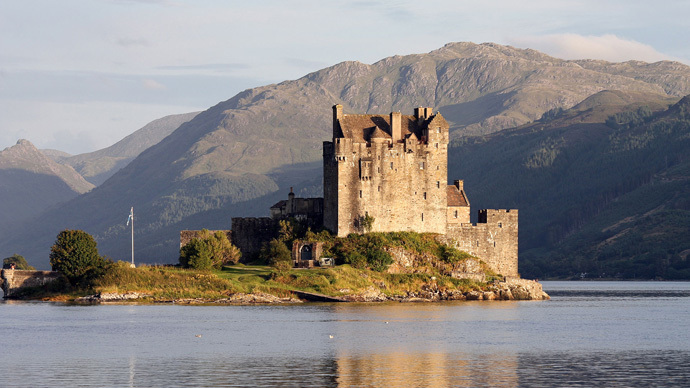 I knew right away that it was the Eilean Donan – it's not in Ireland. “It's obviously the wrong castle in the wrong place. If you are going to advertise a luxury holiday in Ireland, you should at least have a picture of Ireland, you would think. Perhaps the cultural gaffe is permissible, however, given that many of the scenes from Mel Gibson’s iconic Scottish blockbuster “Braveheart” were actually filmed in Ireland. Most of the battle scenes were filmed on the Curragh Plains, County Kildare, and even the city shots are less than authentic. The scenes taking place in London were actually shot at Bectave Abbey, County Meath, while the ones in York were filmed at Trim Castle.